Lyft is a ridesharing service based out of San Francisco, California, United States, that connects people in need of a ride with local independent drivers through and app or the website. The privately held company currently operates in over 190 cities across the country, including LA, San Francisco and New York. 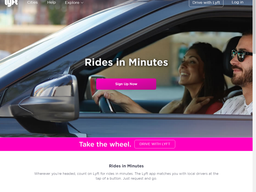 The website is located at Lyft.com where you can use the service or download the app. New and existing users of Lyft can often benefit from Lyft coupons that give them discounts off the fare. This is covered by the company itself and does not impact the drivers. We keep an up to date list of these offers and deals, so there's always something you can use. Lyft is one of the primary rivals of Uber and was founded in 2012 by Logan Green and John Zimmer. In the beginning it was an outgrowth of Zimride, a service that connected riders and drivers through Facebook and was the largest ridesharing program in the US at that time. The startup has received significant funding, including $500 million from General Motors. 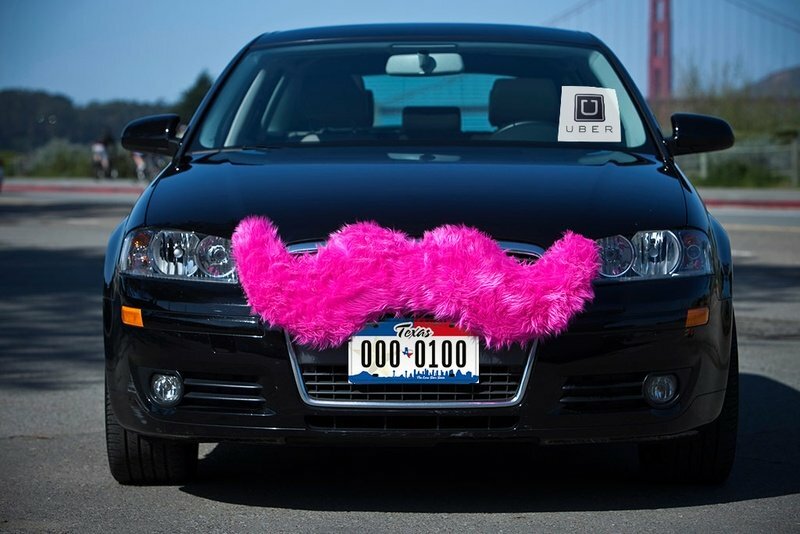 One interesting quirk is that in order to stand out from other cars on the road, Lyft drivers are required to attach a bright pink mustache to the hood of the car. Lyft primarily focusses on shorter journeys within major cities, much like traditional taxis and is not usually used for longer trips that private driver firms offer. Likewise, despite being promoted as "ridesharing" most of the drivers work full time or part time and aren't just random citizens giving a helping hand to people headed in the same direction. To use the service users must be in one of the supported cities and then the app will show the nearest drivers and their feedback scores, as well as the price. Payments are then made using the rider's chosen method, which they must pre-authorize with the app. Lyft ensures safety of their passengers not just through feedback, but also through background checks. Drivers also must be 21 years or older and have had a driver's license for more than 1 year. All Lyft coupon codes are applied through the app. Common promotions include Lyft First Ride Free and 50% off. Lyft accept payment through most common credit cards, including Visa, American Express, Mastercard, and Discover. Users can also use Google Wallet or Paypal. To redeem a Lyft coupon code it must be entered in to the designated box in the app, prior to a journey being finalized. Because everything is done through the app the Lyft driver will be informed immediately of the pickup request. It is only finalized if they are accept. Because they only show up on the app if they're in the vicinity, there usually aren't issues with late pickups or no shows, and if something like that does take place, negative feedback ensures that other riders choose more reputable drivers in the future. A rider's location is automatically picked up by the app and they must enter their destination before the pickup is finalized. While Lyft bookings can be cancelled before the driver arrives, once the journey is completed as verified by the app, payment is finalized and non-refundable. The app will recognize the time the journey took etc, but if you have an issue with driver conduct you are advised to leave appropriate feedback.